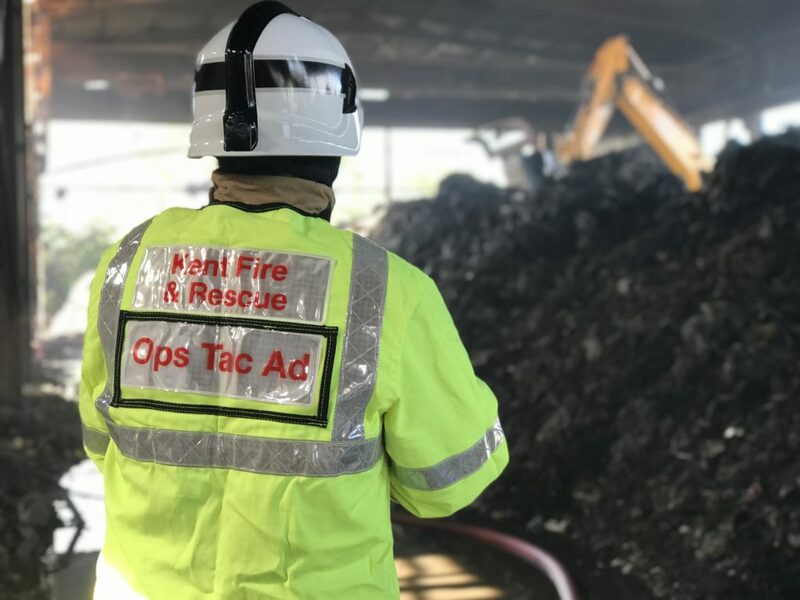 Kent County Council’s partner, Kent Fire and Rescue Service (KFRS), has issued an update on the ongoing fire at Westwood industrial estate in Margate. The blaze, which started more than a week ago on Saturday, September 15, is expected to require firefighters to have a presence on site until late October. Today KFRS released two videos offering advice to members of the public who might be worried about the smoke from the fire, and who are interested in an update on the work the fire service and its partners have been doing. KCC has been supporting KFRS, giving information to schools in the affected area.